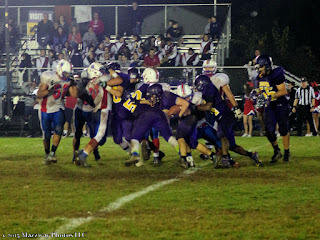 On Friday-6- November the Junior Football Bucs played at Secaucus. Bogota was sweeped in all three games by the Jr. Patriots. The PeeWee team lost 0-19, the Junior team lost 6-26, and the Senior team also was shut-out 0-24. They play their final can of the season on Saturday 14-November at Cliffside Park. The Pee-Wee game is schedule to have a 6:00p kick off with the other games to follow. The Bogota Cross Country squads ran in the North 1 Group 1 Championships at Garret Mountain on Saturday 7- November. In the Women's race Jillian O'Brien was the Lady Bucs top runner finishing 18th overall. Bogota finished 9th in the 13 school field. On Thursday 5-November the Bogota Football Bucs played their final regular season game at Home in Fiegel Field. 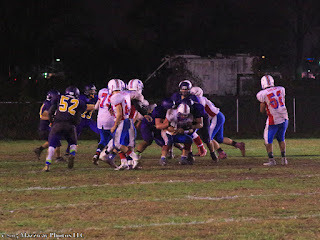 This was their Senior Game, and the annual Night game for Bogota. They saved their best performance for this night. After receiving the Opening Kick-off the Bucs marched down the field, and with a Zayne Ksyier diving into the endzone to give Bogota a 6-0. On Secaucus' first possession the Bogota defence forced a fumble and score on a short Christian Gonzales touchdown run up the middle. In the second Quarter Bogota added another major score from Jordan Vazquez to give Bogota a 22-0 lead after the First Half. Secaucus made the score close with Touchdowns from Evander Pons in each of the two second half quarters. The Patriots appeared to take the lead with a fourth quarter score only to have it called back on a penalty. 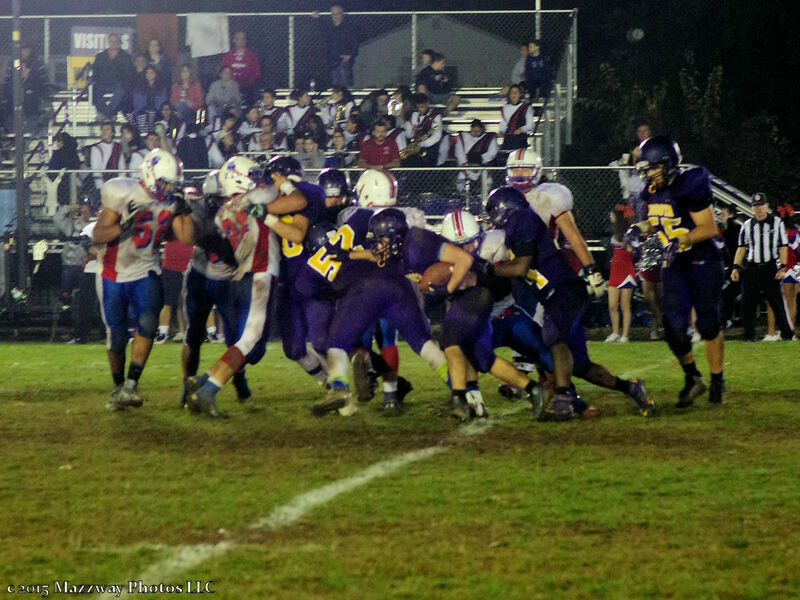 The Bogota defense took advantage of this second chance to hold Secaucus out of the endzone and stop taht drive with a fourth down blocked pass. Then a strong defensive stopped on Secaucus final chance for the evening for a 22-16 victory. Bogota record stands at 2-7.